Incorporate:CSR policy. Giving something back to our community. As part of Incorporate Design’s CSR policy we have committed to spending two full days in a year, as a team, on voluntary work benefitting our local community. So on a lovely sunny Thursday in June, we closed the office, put our out-of-office emails on and headed out. The Children’s Trust, Tadworth, is a charity local to many of us, and does amazing work helping rehabilitate children who have suffered tragic brain injuries. We urge you visit their website to see some of the stories, they are genuinely inspiring (www.thechildrenstrust.org.uk/meet-the-children). 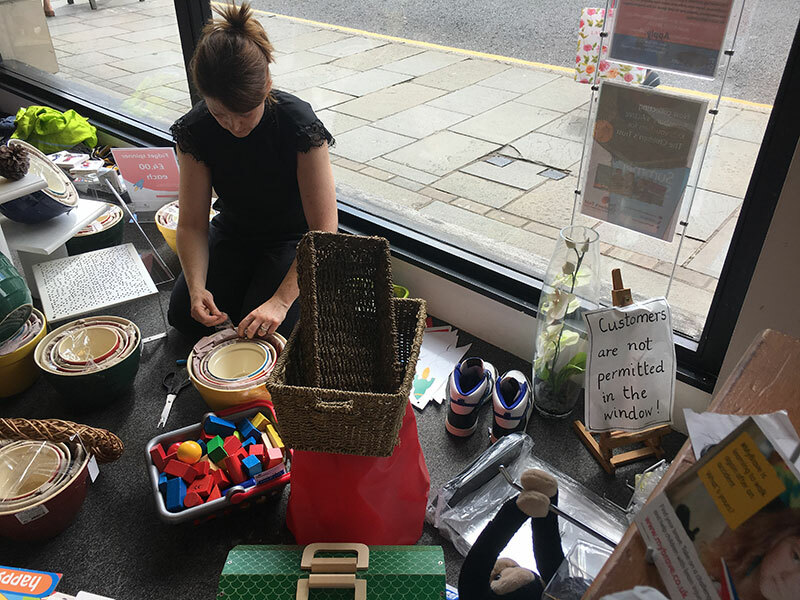 Following communication with the corporate fundraising team at the Children’s Trust, we had arranged to spend the day in their Reigate high street shop. 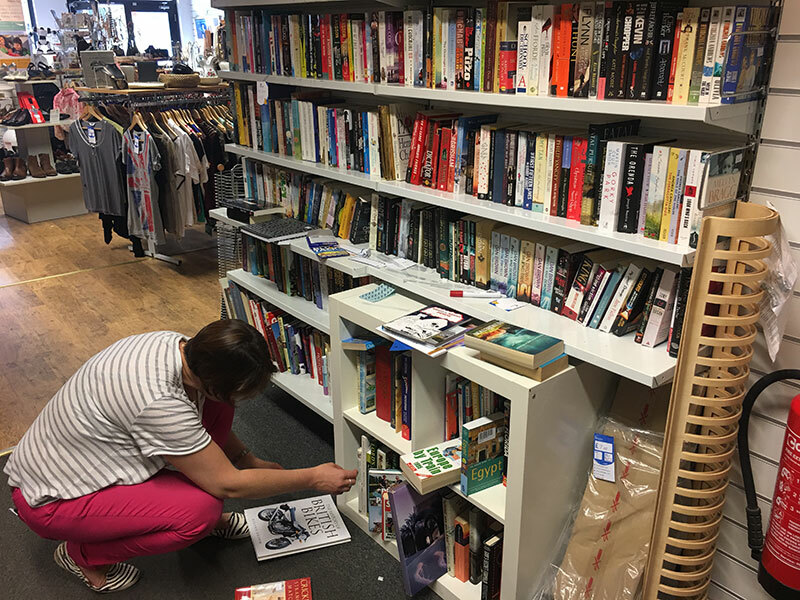 It is a large shop that receives a huge amount of donations and, at present, they do not have enough resource to run it as successfully as possible. 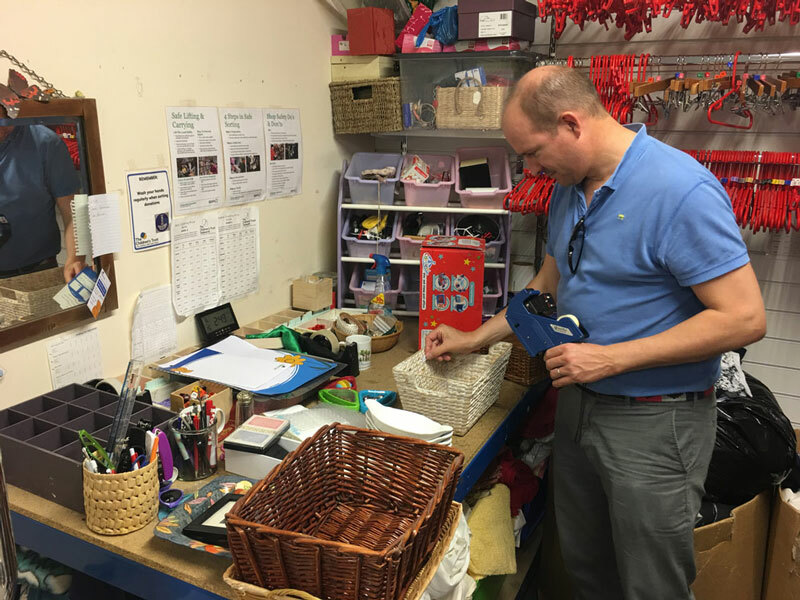 The volunteers who work on the rota are constantly juggling donations, customers and general admin. 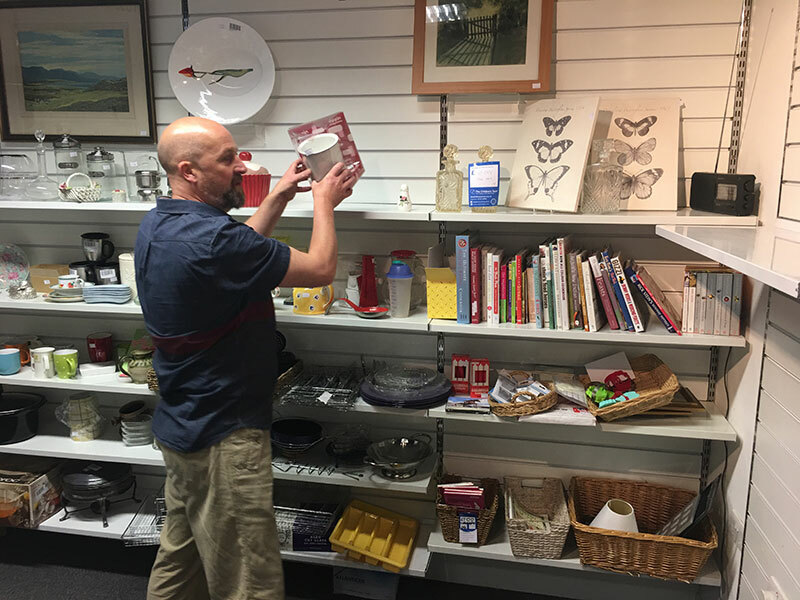 It is difficult to find the time to step back and organize the merchandise in the best manner – sometimes there isn’t even the time to clean the fixtures and fittings. In advance of our day there, we had access to The Children’s Trust brand guidelines and assets and were able to design and print useful point of sale materials that we used to help promote our efforts. Justine and Tara from their retail operations team met us and, after a health and safety induction washed down with a cup of tea, we got straight into getting our hands dirty. 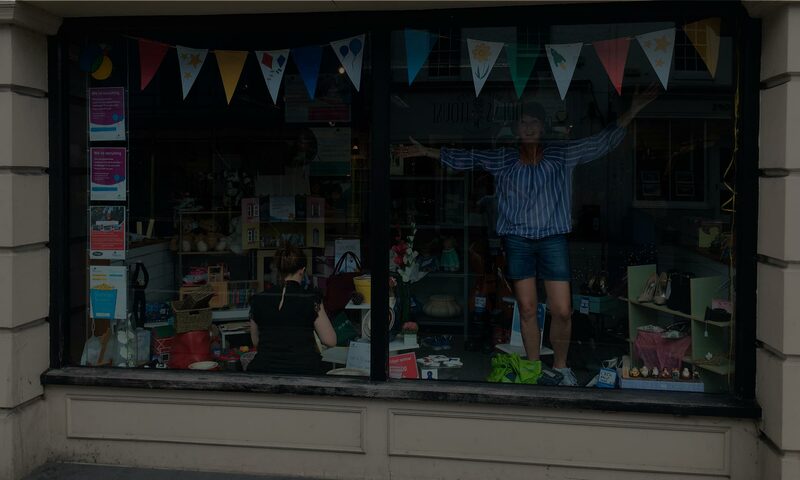 We split into teams, some steam cleaning clothing and wiping down donations of children’s toys, other sorting through the bric-a-brac, categorising books, pricing up items, removing old stock or building a show-stopping window display. 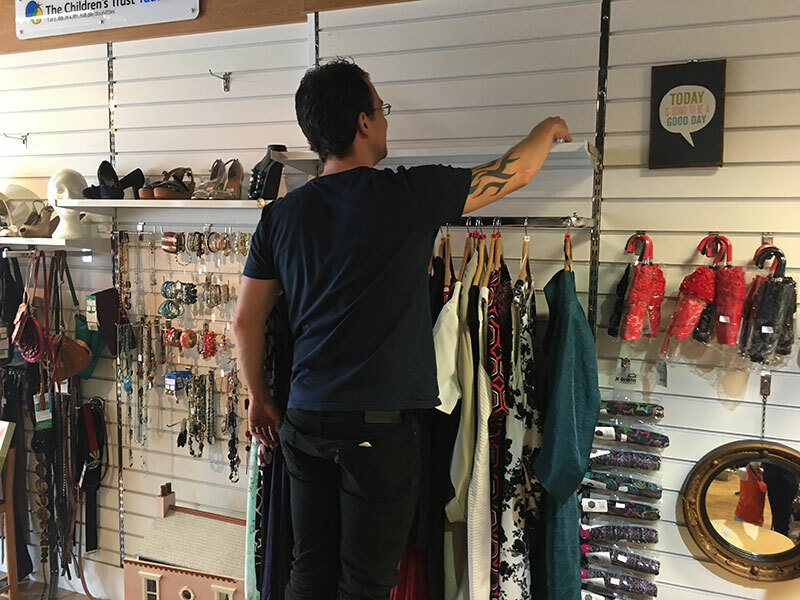 The whole day was a really interesting insight into the time and effort required to keep a high street charity shop running day in day out. What we felt we brought to the experience was practical use of some of the skills we use daily with regards to clarity of purpose – organising books into categories, creating a ‘kitchen corner’, ‘collectibles’ and a garden section from the jumble of bric-a-brac – and through our UX knowledge, making the decision process as easy as possible with visually engaging displays and provoking ideas with interesting or unexpected juxtapositions. It was so pleasing to overhear customers mention how they could find what they wanted easily, and to see them making their way to the tills. A steady stream of customers meant there was plenty of work wherever we looked. We felt that, even in such a short amount of time, we had made a tangible difference that would last more than just that day.